Bigger is definitely better when it comes to telescope tripods. The main reason is telescopes are very sensitive to vibrations. The sturdier the tripod, the better the stability. The better the stability, the better for viewing and imaging. To that end, we are always on the lookout for beefier tripods. 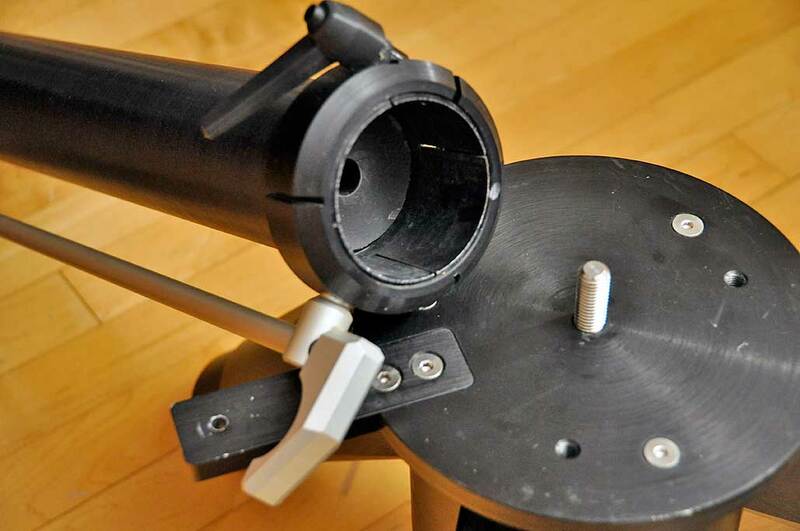 A few months ago, we found a used tripod from a Meade RCX-400 up for sale. We made an offer, but the seller was hoping to get more for it. A higher offer did not materialize, we went a few more rounds with the seller, and finally came to an agreement. The tripod arrived this week in two very large boxes, the sum of which were over sixty pounds. This thing is MASSIVE. All of the pieces are made from aluminum. Really thickpieces of aluminum. Unlike our other tripods, the head and the legs are easily separated. 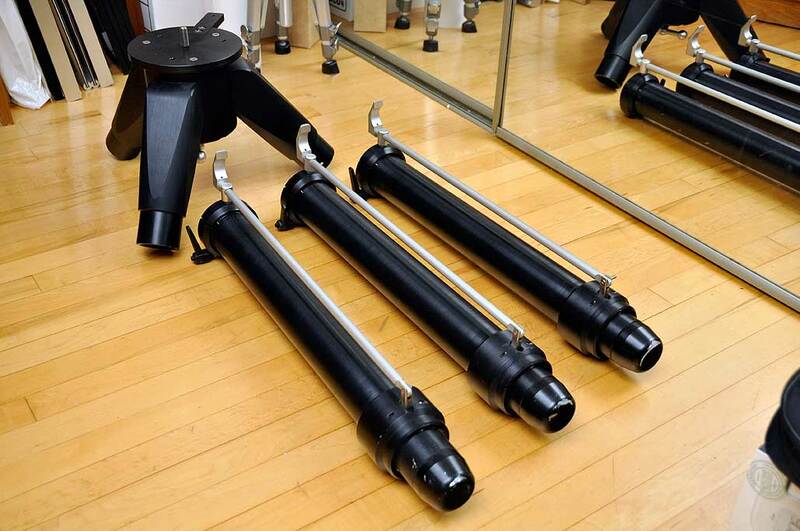 The tubular legs fit onto the head and are locked into place with the aid of a clamping mechanism. The angle of the legs are fixed and do not fold in any way, but the legs are extensable. This newly acquired RCX400 tripod will replace the OEM unit which came with our 10″ LX-200 scope. There is nothing wrong with a standard tripod, we just wanted something beefier for the Hyperstar imaging we’ll be doing with the Meade SCT. We’ll set it up tomorrow and show how it compares with the other tripods we have in house.